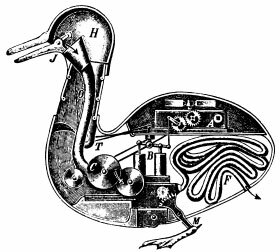 Descartes held that non-human animals could be reductively explained as automata—De homines 1622. Reductionism, in a philosophical context, is a theory that asserts that the nature of complex things is reduced to the nature of sums of simpler or more fundamental things. This can be said of objects, phenomena, explanations, theories, and meanings. In the early twentieth century, for example, key logical positivists attempted to achieve the unity of science ("unified science" in Vienna Circle) from a reductionist perspective. Following their line of thought, it was often argued that fundamental chemistry is based on physics, fundamental biology and geology are based on chemistry, psychology is based on biology, sociology is based on psychology, and political science, and anthropology and even economics are based on sociology. The first two of these reductions are popularly (though not universally) accepted but the last three or four—psychology to biology and so on—are controversial. More generally, reductionism is a way to achieve parsimony in a given discipline, making it an attractive goal. Perhaps the earliest known example of a reductionist claim is the ancient Greek philosopher Thales' claim that everything is water. On one interpretation, at least, Thales was claiming that all the entities that make up the universe are fundamentally composed of water, and all truths about the universe are, thus, ultimately based in truths about the arrangement of water. Ontological reductionism is often criticized on the ground that the whole is not identical with the sum total of its parts. The synergy generated by the interaction of parts is unique to the whole and reductionist oversimplification fails to capture this element. Twentieth century continental philosophies, including phenomenology, philosophical hermeneutics, and others, pursue different philosophical approaches that can capture the complexity of phenomena. Most reductionist claims in philosophy can be divided between two categories, which are sometimes called ontological reductionism and theoretical reductionism. In this claim, a thing (the population of Springfield) is reduced to a set of individual people. The idea is that that set of people is all there is to "the population," and everything that's true about the latter comes down to something that's true about the former. For example, if it's true that the population is shrinking, this might be explained by saying that Adam and Alex left town. Note that there's an asymmetry in the relation between those two facts: If Adam and Alex leave town (and everyone else stays put), then it's necessarily true that the population of Springfield shrinks. But if the population of Springfield shrinks, it's not necessarily true that Adam and Alex left; it might instead be the case that Alice and Anna left. This asymmetry is indicative of the fact that the set of people is more "basic" than the population. So the reductionist claim doesn't merely state that there's some close relation between the two, it further claims that one is more fundamental. You can understand everything about the population by understanding what's going on with Adam, Alex, Alice, Anna etc., but not the other way around. Santa Claus is nothing more than a story told to children. As before, everything that's true about Santa Claus comes down to something true about the story. If it's true that Santa Claus lives at the North Pole, it is just because it's part of the story. But in this case, the fact that Santa Claus is reduced to a story seems to mean that Santa does not exist. Putting the matter metaphorically, Santa has been reduced away. A distinct but related type of reduction can hold between theories—where "theories" are understood as sets of claims. For example, it is often claimed (though not without controversy) that biology will ultimately be reduced to chemistry, and chemistry in turn will be reduced to physics. There are two dominant models of how this is supposed to work, one expounded by Ernest Nagel and the other by John Kemeny and Paul Oppenheim. Staying with the example of chemistry and physics, a natural thought is that for the former to be reduced to the latter is just to have the claims of the latter entail all the claims of the former (the converse isn't needed, just as in the case of ontological reductionism). But this is simply not possible if the theories are taken by themselves, and for a simple reason: The two might employ entirely different vocabularies. One might imagine that there someday will be "finished" forms of both theories, and that while all the laws of physics are put in terms of 11-dimensional vibrations of strings, all the laws of chemistry are put in terms of atoms and atomic bonds. The difference in terms will preclude the desired entailments until there is some way of translating the terms of chemistry into the terms of physics. In light of these considerations, Ernest Nagel proposed that theoretical reduction requires "bridge laws" that allow for the needed translation. Nagel stated that the bridge laws must truly state a law-like relation between any claim from the theory in order to be reduced (chemistry, in this example) and a claim in the "reduction base" (physics). Continuing the earlier imagined case, one bridge law might state that an object has the property of being atomically bound to a carbon atom only if that object is a manifestation of a certain number of strings vibrating in applicable ways. It's worth noting that this requirement does not assume that the bridge laws will be particularly simple or manageable. It's possible that a slight difference in the theory to be reduced (e.g. being composed of 100 carbon atoms vs. being composed of 99 carbon atoms) makes for a huge difference in the theory that provides the base for reduction (e.g. 3 strings vibrating in 6 ways vs. 1,000,000,007 strings vibrating in 5,001 ways). Indeed, there seems to be no way of guaranteeing that the relation between the theories need be one that one could actually compute—but this model only requires that the requisite bridge principles exist in order for reductionism to be essentially true. Nagel's model of reduction centers on the idea that some deductive relation holds (in principle, at least) between the two sets of claims that constitute the theories in question. A worry one might have about this is that the logical relations might be far too complicated to be of any use. Another is that the theory to be reduced may in fact only be true to an approximation, so that the more basic theory won't exactly entail its claims, but rather corrected versions thereof. One approach to these problems is to amend Nagel's model, but other philosophers have turned to an alternative model set out by Kemeny and Oppenheim. According to the Kemeny-Oppenheim model, all that's required for one theory to be reduced to the other is for all the observational data that the former can explain to also be explicable by the latter. This makes no requirement that one have any way of translating between the claims of the theories. Thus, chemistry would be reduced to physics if physicists were able to explain everything that chemists could. Note that if one theory has been reduced to another in terms of Nagel's model it will also have been reduced in terms of the Kemeny-Oppenheim model, but not vice-versa. Though reductionist theses have been advanced in almost every area of philosophy, the area in which it has been most vividly debated is the philosophy of mind. What follows below is a brief presentation of the debate. The issue is first and foremost one concerning ontological reductionism; specifically, whether minds and mental properties can be reduced to the objects and properties described in natural science. It has also, however, been formulated in terms of theoretical reductionism. Physicalism is the metaphysical view that all the fundamental entities in the world are the objects and properties described by physics, so that all other real entities must be reducible to physical entities. Taking the mind as real, one is then forced to conclude that the mind must be likewise reducible. It is moreover natural to further conclude that all the laws concerning the mind (the laws of psychology) must likewise be ultimately reducible to the laws of physics. Such a position is fairly common among modern philosophers. The statement of physicalism itself does not, however, entail that minds can be even ontologically reduced to physical objects and properties. Such reduction is not needed if one denies that the mental are real—after all, the physicalist needn't tell any reductive story about square circles, since such things do not exist. Motivated in part by problems with theoretical reduction concerning everyday "folk" psychological theory, Paul Churchland has famously defended the claim that the mental simply does not exist. This is the view known as "eliminative materialism" ("materialism" is often synonymous with "physicalism"), which has few other adherents. A physicalist might accept ontological reductionism about the mental without accepting theoretical reductionism about the laws concerning the mental. Donald Davidson developed such a view, dubbed "anomolous monism," in a series of essays. It seems conceivable that the world could be such that minds consisted of nothing more than physical things, while it was still, in principle, impossible to formulate any clear principles about how the mental related to the physical. For example, it might be that all conscious beings were material beings, but that there simply was no general principle about which material beings were conscious. Of course, if one resisted ontological reductionism about the mental, theoretical reduction would be even easier to reject. If the mind is simply a separate entity from all physical things, then it would be hard to see how the laws of physics would be capable of explaining the mental any more than the laws of the United States are capable of explaining planetary orbits. Peter Unger has recently defended a strong form of this view (called "substance dualism"). Churchland, P.S. 1981. "Eliminative Materialism and Propositional Attitudes," in Journal of Philosophy 78 no. 2. Kemeny, J. and P. Oppenheim. 1956. "On Reduction," Philosophical Studies 7: 6–18. Nagel, E. 1961. The Structure of Science: Problems in the Logic of Scientific Explanation. Routledge & Kegan Paul. John Dupré: The Disunity of Science, an interview at the Galilean Library covering criticisms of reductionism. This page was last modified on 7 July 2015, at 19:36.